Being a wedding hairstylist is Karen's dream job. 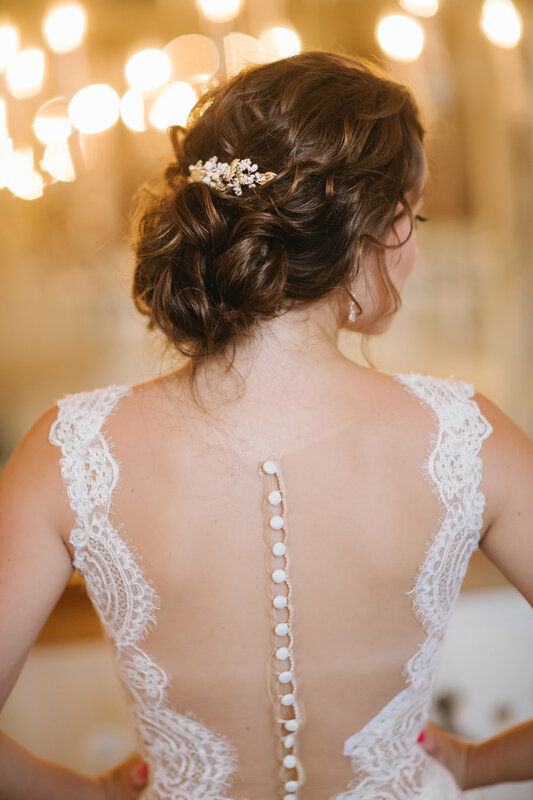 She went to beauty school with the intentions of specializing in bridal hair styling and has done exactly that for years now. Karen loves bring apart of someone's most important day and loves using her creativity and skills to make a bride's vision become a reality. "I truly have a passion for what I do, which I try to reflect in the quality of my work!" FUN FACT: The adorable baby girl you see in the studio belongs to Karen. We call her Squishy! Karen has had her work featured in magazines, advertisements and has had a bride on the TV Show "Four Weddings"
CHECK OUT SOME OF OUR BLOGS FEATURING KAREN'S WORK!